Water Sponge Transfer. 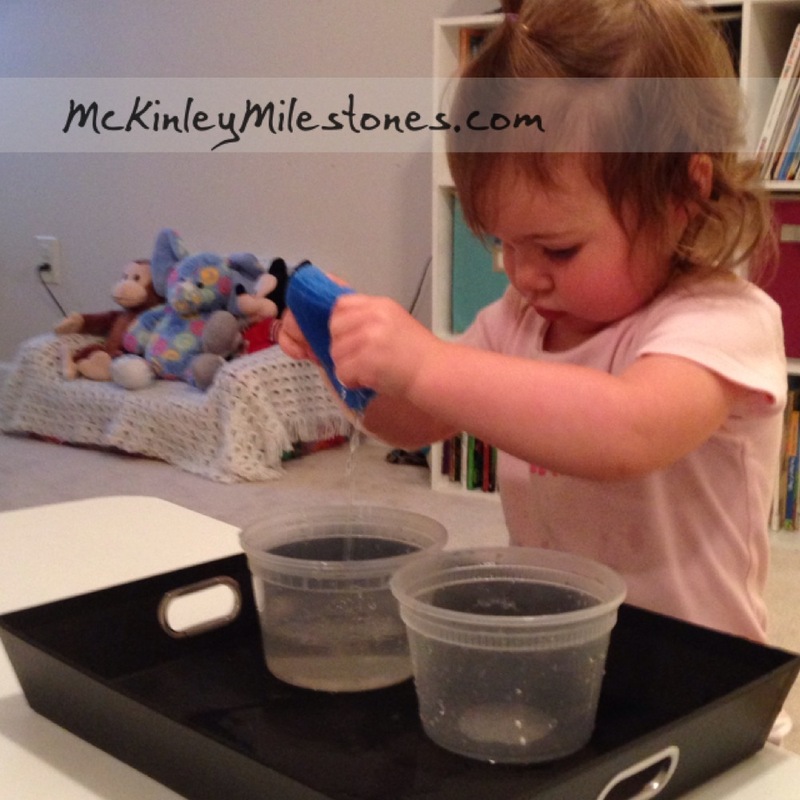 This Montessori toddler activity is really simple and informative! I classify this activity under “math/science.” It teaches a bit of practical life, eye/hand coordination, and of course squeezing. Set up water in one of the containers, and put both bowls on a tray.